TVB actress Winki Lai(賴慰玲) became good friends with a group of actors and actresses after filming the drama series "Blue Veins(殭)". In recent days, there were reports that Kevin Cheng(鄭嘉穎) didn't see eye to eye with his costar Kay Tse(謝安琪) during filming. Yet, Kevin was on good terms with supporting actress Winki. 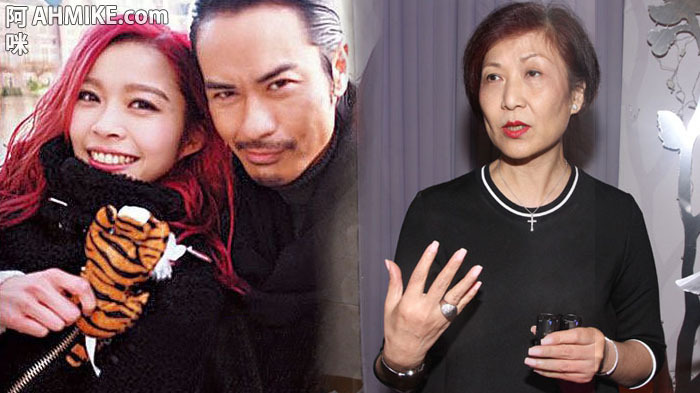 During a recent dinner party, Kevin got into a heated discussion with TVB executive Catherina Tsang(曾勵珍) over Winki's ability as an actress. Afterward, Catherina even summoned Winki to go see her! Winki accepted a phone interview to talk about the matter, she said: "I am thankful to Kevin for his support for me. He was incredibly supporting and always encouraging all the young actors such as myself, Anjaylia Chan(陳嘉寶), 6 Wing(陸永), etc. He's a veteran actor that likes to look after all the juniors. I will work with him again in a new drama series. I hope I can learn more from him. I know there are a lot of things I still need to improve on. (Are you signing a long-term contract with TVB?) We've always been in talk. I will let everyone know when there's new information."